MV EXPULSION FUSES Full Type Test certification according to IEC 60282-2 Fuse-application, as a protection elementdevice, is an old invention that even today still guarantees a crucial protection in all electrical engineering applications. It can be assumed as the last protection barrier against serious fault when all other devices fail, and this is due to its high reliability working principle. The fuse guarantees high breaking capacity, ability to prevent short-circuit (in comparison with other protection devices), plus due to its operating process it has the advantage that a blown fuse is visible from a distance. Locating a fuse that is blown is a tedious procedure otherwise. From economic point of view the fuse is also very affordable and after fuse replacement the protection device is brought back to the previous condition. Due to the mentioned reasons, quality means safety and poor quality can lead to fires or injury, so contractors need complete trust in the components they buy. DNV GL’s physical verification approach and KEMA Type Test Certificate provide the trustworthy evidence you need to convince customers you deliver a premium product. You can take advantage of this service at our KEMA Laboratories. KEMA Laboratories facilities Located at several key sites around the world, our KEMA laboratories conduct a wide range of testing services for energy equipment. They include short-circuit, arcing, load switching and other power testing covering LV to EHV equipment. For example, comprehensive test facilities at our Prague facility include two 2,500 MVA rated short-circuit synchronous generators. It also features a temperature-rise test bay, dielectric test bay and a special chamber for the test of MV Fuses. A short description of MV current-limiting fuse tests is given here. The tests performed focus on the construction of fuses and their performance. High-voltage expulsion fuse Serial No. IEC 60282-2:2008 This Certificate has been issued by DNV GL following exclusively the STL Guides. The results are shown in the record of proving tests and the oscillograms attached hereto. The values obtained and the general performance are considered to comply with the above standard(s) and to justify the ratings assigned by the manufacturer as listed on page 7. Copyright: Only integral reproduction of this Certificate is permitted without written permission from DNV GL. Electronic copies as PDF or scan of this Certificate may be available and have the status “for information only”. The sealed and bound version of the Certificate is the only valid version. IEC 60282-2 is a standard that covers the high-voltage expulsion fuses, which are constructed for external and internal use in AC systesm of 50 and 60 Hz, as well as for nominal voltage over 1000 V. The following tests correspond to the specifications defined in part 8 of the standard. Dielectric test (8.4) We use the rated insulation level of a fuse-base when testing the dielectric properties. You can select the rated insulation voltage based on practice in Europe or in the USA and Canada. We can verify dielectric properties either under Dry and Wet condition. During Powerfrequency wet test (8.4.6) we simulate the ourdor condition creating an artificial rain by means of droplets of water, of given resistivity and temperature, generated by an equipment consisting of nozzles fixed on frames. The rain falls on the test object under an angle of about 45Â°C. We use a special vessel with horizontal and vertical opening of identical areas to measure the precipitation rate. Temperature-rise test and power-dissipation measurement (8.5) All devices that use electricity dissipate waste heat as a side-effect of their operation. High voltage expulsion fuses are no exception. The heat generated in the fuse operation causes temperature rise, therefore we verify that the generated temperature-rise is in accordance with the limits provided by the IEC standard. Breaking test (8.6) Test Duty 1: Verification of the rated breaking capacity (I1). Test Duty 2: Verification of breaking capacity in the range from 0,6 I1 to 0,8 I1. Test Duty 3: Verification of breaking capacity in the range from 0,2 I1 to 0,3 I1. Test Duty 4: Verification of breaking capacity when the fuse is required to operate at comparatively low fault currents, from 400 A to 500 A. Test Duty 5: Verification of breaking capacity when the fuse is required to operate at comparatively low fault currents, from 2,7 Ir to 3,3 Ir with a minimum of 15 A. Test for time-current characteristics (8.7) Each type of fuse link has a particular fusing or pre-arcing duration that corresponds to an rms current value. We verify the duration of pre-arcing for each current value. Mechanical tests (8.8) Mechanical test is inteded either for the fuse-base and for the fuse-link, the aim of this endurance test is to verify the strength of the assembled components. The test is divided in two parts: ď&#x20AC;ź	Test of the fuse base; ď&#x20AC;ź	Test of the fuse link, consisting from static and dynamic tests. 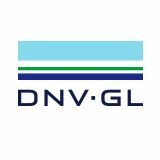 DNV GL DNV GL is a global quality assurance and risk management company. Driven by our purpose of safeguarding life, property and the environment, we enable our customers to advance the safety and sustainability of their business. We provide classification, technical assurance, software and independent expert advisory services to the maritime, oil & gas, power and renewables industries. We also provide certification, supply chain and data management services to customers across a wide range of industries. Operating in more than 100 countries, our experts are dedicated to helping customers make the world safer, smarter and greener. In the power and renewables industry DNV GL delivers world-renowned testing and advisory services to the energy value chain including renewables and energy management. Our expertise spans onshore and offshore wind power, solar, conventional generation, transmission and distribution, smart grids, and sustainable energy use, as well as energy markets and regulations. Our experts support customers around the globe in delivering a safe, reliable, efficient, and sustainable energy supply.